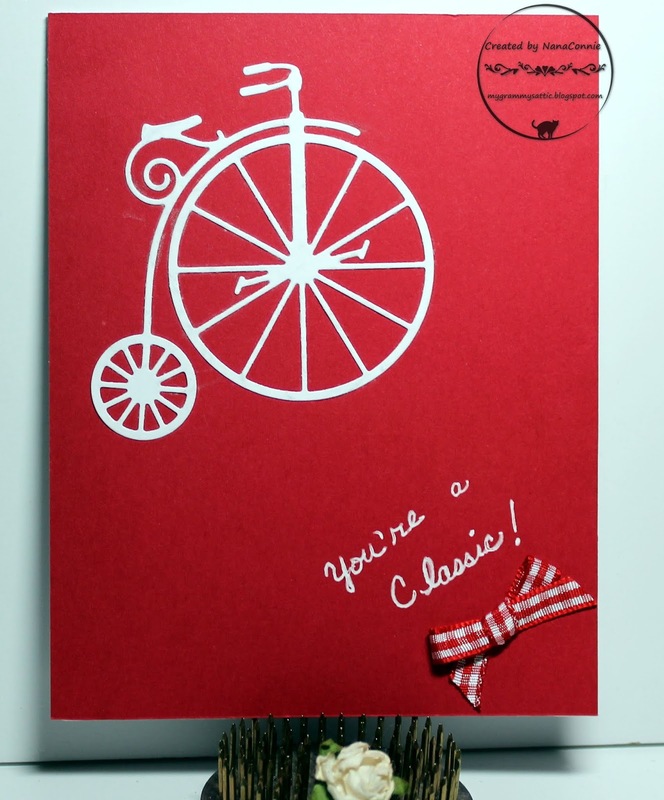 Beautiful CAS card and love the penny farthing and sentiment. Perfect card and so glad it brings back special memories. Oh, and the die is from Memory Box! Love your card. I love the story behind this card, how precious! Gorgeous card! I love that you turned a negative (the wrong placement of the diecut) into a positive. Such a great design and the white against the red is very striking. Thank you for sharing in our 'embossing wet or dry' challenge.